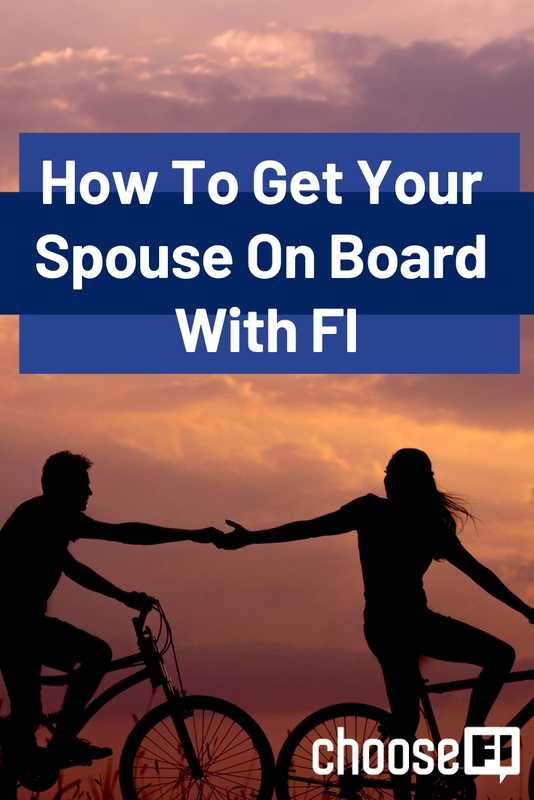 So, you’re absolutely fired up about FI, but your significant other or spouse totally isn’t. You’ve devoured dozens of podcast episodes and poured over FI blogs and perhaps even contemplating what you’d do in your post-retirement life. Anyone who is within earshot can hear you drop terms like “house hacking” and “geo-arbitage” that are now fully integrated into your lexicon. Of course, you may be super excited about discovering an entire new path in life, but your significant other or spouse may not be. If that’s you and your loved one–read on. A common theme amongst FI’ers are that when they discovered FI it changed everything–suddenly it was like the sky opened up and they could see the whole world differently. You can imagine, that for anyone close to you–it can be a bit shocking to have someone want to change everything about your day to day life after listening to a few podcasts (as amazing as they may be!). FI is truly a game changer and many of us recognize that major changes need to be made in how we live our lives in order to align with FI. We get revved up over stories of people that shaved 20 years off of their working lives or are able to live on a homestead. We see the benefit of cutting our housing costs, letting go of expensive hobbies and the power of increasing our savings rate by spending less. Of course, making these changes as a bystander can be really startling for anyone.If you came home and suddenly told your significant other you were not going to eat any animal products whatsoever from that moment on, or suddenly decided you were going to switch faiths without warning–you could imagine they might have a bit of whiplash from such a big change. FI, truly is no different–since it also involves a lot of unfamiliar tactics and a whole new way of doing things. Before we get into some tactics to help them feel comfortable and excited about FI, put yourself in their shoes and be patient. If your spouse came home and wanted to make big changes, no matter how beneficial they might be–you’d react too! Right now, ask yourself an honest question–have you been listening as much as you talk about FI? Did you come home after a podcast binge and instantly expect your spouse to be excited about cutting expenses? Do your due diligence to explain FI and its benefits for your future together, but also make sure you take ample time to listen. What would you do if you didn’t have to work/didn't have debt anymore? 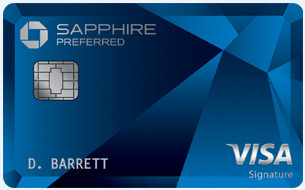 How much do you need (in the bank, fun money, etc.) so you don’t feel deprived? What expenses bring you the most satisfaction or would you be afraid of losing? What is your biggest fear about changing the way we do things? How do you feel about some of the changes we've already made? It will take a few conversations and a slow but steady rollout of changes before things feel smooth for both parties. If you're frustrated that they’re not on board with FI, take time to deep dive into their feelings. If you remain frustrated and keep talking to your spouse instead of simply posing questions to dig deeper, you may remain that way. You might already be picturing life in a mountainside homestead where you make your own applesauce and live off the grid–but is your spouse? Perhaps he or she is motivated by the idea of “FU” money and being able to walk away from a toxic work environment in the short term because the idea of retirement still feels like a faraway dream. It’s okay to have different motivations to get on the path to FI–and maybe even different visions of what FI could enable you to do. Perhaps he or she is really giddy about those awesome milestones, like being able to pay off a mortgage while you’re totally jazzed about being able to live life on your own terms. Your goals motivations don’t have to be totally identical, but they can still be aligned. Everyone has room to dream with FI, and you may find the get excited about different things you never even considered–and that’s totally okay.Find what works for you. Even if your partner is 100% on board for FI, they likely have their own unique talents that can quickly become FI super powers, and other things they absolutely hate doing and want no part in. After you’ve had conversations about both party’s fears, wants, and non-negotiables, you can also determine what strengths each person brings to the table to divide and conquer. Your partner may have a hobby that can be monetized, or perhaps they naturally are excellent at negotiation which can lower your bills. If your partner has skills or talents, celebrate and encourage them. If there are things that make them roll their eyes or feels like a chore (like clipping coupon) focus on how they contribute in a way that seems like a better fit. One big mistake FI’ers make is thinking that the path to FI is the same for everyone. Your spouse may give you a hard pass in terms of living with one car or giving up the cable sports package, but if they’re naturally great at meal prepping or are wiling to DIY household chores, encourage participation on their terms, over time, the rest may follow. Patience is a virtue with FI, and it’s a virtue in any partnership. Your partner may not be on board that first time you come home and talk about an episode of ChooseFI at length over dinner, but they will come around. When they see how some small changes you’ve made are positively impacting your stress levels and has you excited about the future while being inclusive and patient, it makes the process a bit easier for everyone. Instead of sending them regular links to new blog posts and hoping they’ll bite, they might just take notice of the changes you’re making on your own and how much happier you are for it. 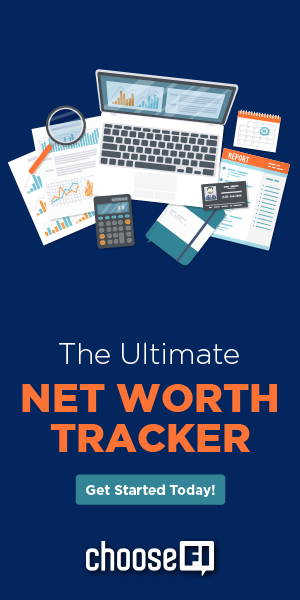 When you hit financial milestones together and they see that you’re no longer panicking over every credit card bill, they might start to see a new way of thinking. Sometimes, partners will come on board naturally when they see the benefits instead of being told the benefits. Lead by example and allow them the time they need to adjust. As tempting as it is to send them podcast episodes and links, sometimes it’s far easier to just show them and invite them to participate–not everyone likes reading and not everyone can envision a new lifestyle from hearing about it. Not every hill is worth dying on. Your spouse may be totally fine with cutting your grocery bill or picking up a side hustle, but the idea of living without a car would make them run for the hills. The paths to FI are as diverse as the people on it–so know that some people’s FI-hack is another person’s nightmare and you don’t need to do it all, or do it all right now. Moving forward on the path can be a series of tradeoffs and compromises. Not everyone is comfortable giving up TV entirely or excited about a life without any shopping, ever. One helpful tip is to give your significant other an account of their own to spend as they please–and you do not get a say in how they spend it. If you’re able to cut costs in other ways, don’t make FI feel like a punishment–if they insist that having “fun money” is a non-negotiable, respect that and make room for it in your budget. When they come home with things you deem “junk” or a “waste,” you won't need to sweat it because it was allocated for. If you’re micromanaging every penny and criticizing how your partner participates, it will lead to resentment, not empowerment. Choose what you can control and what you can not–and allow your partner to have the ability to voice their non-negotiable items and have the freedom for wiggle room in how they spend their fun money. Over time, they may find they no longer “have to have” their monthly pedicure or would rather go to a friend’s house instead of paying for cable, but allow them to make changes without feeling deprived and recognize and appreciate the strides they’re making in the interim. So, all in all, your path to FI may not be a deep plunge like you’d hoped, it’s okay if your significant other needs to simply dip their toes in first. It’s also totally okay if it takes longer than you’d hope, but realize that progress is still progress and you’re in it together! Solid take Shannyn, as always! I have certainly found the “why” the most important thing to getting a spouse involved with anything. I am a big Simon Sinek fan and so probably a bit biased, but I absolutely feel that if you can articulately describe your “why” to your spouse or even better develop a “why” together then you will have amazing success. I’ve definitely been feeling the FI vibe a lot more than my wife over the past few years. As you said, the best approach is to celebrate the milestones and talk about how you achieved them to help get your spouse to buy-in on the path to FI. Everyone has different “must haves” and hers are definitely different than mine. But compromise is a part of marriage, and she’s come up with some great ideas that I would have never thought of. I believe my husband is slowly coming around to the idea. It’s taken almost ten years! Luckily for us, during those ten years he wasn’t a big spender. So now, after ten years of me purposely setting aside some of my income for the future, and him more or less accidentily not spending all of his income … suddenly he asks me: “Say, the current interesting and lucrative project I’m running ends in three years. Could I retire at that point in time, if I wanted?”. When he asked, I pulled up my spreadsheet, and I could tell him that yes, at that point in time he can comfortably retire. So he’ll be financially independent, almost by accident. And at that point he can choose whether or not he wants to continue to work or not. Thanks for commenting Petra! That is awesome! If my partner and I marry, we likely will keep our finances separate as well, though we are completely transparent with one another about where we’re at. Excited for you and your husband! Everything has philosophical underpinnings – FI, religion, politics, work, consumerism, etc. Some are wired to ask why, some reach a point in their life where they are finally ready to ask why, some are forced to ask why, some are blissfully oblivious, and some are resentful of even the idea of having to ask why. Those that don’t\won’t ask why are especially combative when confronted by their most dangerous adversary: logic and reason. It’s so hard to get people to walk through a philosophical door and especially frustrating when you love them and want to help them experience what you’re experiencing on the other side. It seems so obvious to us. Try to convince someone to change religions or political parties. Each is convinced theirs is the right way and it’s extremely unlikely they will change…even, and especially, when confronted with logic and reason. It seems there are strong biological\societal forces at work. For reluctant FI women, it is the hard to watch other women\families being taken care of by a spouse who seems to love nothing more than to provide materially in abundance without asking why. These reluctant FI women are left wondering why they and their family are not worth being taken care of also…without the burden of having to ask why. It’s rare, but I love it when I see beautiful smart women who have every biological\societal reason to expect to be provided for at a high level, but embrace and thrive living intentionally at a much lower level. For FI men of logic and reason, we want our women to be “above” the biological\societal urges. We hate that our wives would think they are less worthy and we really don’t like being thought of as substandard providers. We clearly see the fallacy of playing the conventional game and we want our wives to see that fallacy also. For reluctant FI men, it can be blissful ignorance, but I assume it’s usually ego and societal expectations…not wanting others to think of us as sub-standard earners\providers. There’s no doubt driving a big truck rather than a Prius pushes some primitive biological buttons for us…and for a lot of women too. It seems there are strong biological\societal forces at work. For reluctant FI women, it is the hard to watch other women\families being taken care of by a spouse who seems to love nothing more than to provide materially in abundance without asking why. These reluctant FI women are left wondering why they and their family are not worth being taken care of with abundance also…without the burden of having to ask why. It’s rare, but I love it when I see beautiful smart women who have every biological\societal reason to expect to be provided for at a high level, but embrace and thrive living intentionally at a much lower level. For FI men of logic and reason, we want our women to be “above” the biological\societal urges. We hate that our wives would think they are less worthy and we really don’t like being thought of as substandard providers. We clearly see the fallacy of playing the conventional game and we want our wives to see that fallacy also.